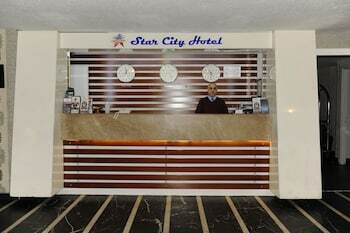 With a stay at Star City Hotel in Istanbul (Istanbul City Center), you'll be within a 10-minute drive of Grand Bazaar and Suleymaniye Mosque. Featured amenities include limo/town car service, express check-in, and express check-out. Planning an event in Istanbul? This hotel has facilities measuring 431 square feet (40 square meters), including a meeting room. A ferry terminal shuttle is provided at no charge (available 24 hours), and free valet parking is available onsite.